The selection of the name “Dorchester" for our congregation links us, not only with our county and the location of our campus, but also with the Puritans who came to this part of South Carolina in 1695 to establish the community which they named Dorchester. In 1620 a group of Puritans from the counties of Dorcet, Somerset, and Devon came together at Plymouth, England to migrate to the New World and form a colony. One hundred and forty persons made up the group. After a day of fasting and prayer, they put out to sea March 30, 1630, in a 400 ton vessel named “Mary and John.” On May 30th they landed in what is now Matapan, Massachusetts. During the summer of that year, they began building their town which they called Dorchester after the town in England from which many of them had come. At that time the Church of England was predominant in South Carolina; however, by 1695 there were many settlers living on grants outside of Charles Towne with protestant backgrounds who desired to establish an independent church of their own. William Norman, holder of a 350 acre grant, was selected to personally carry a message to Dorchester, New England, to request a Congregational minister to organize a church in South Carolina. which was favorably received. Thus, In November of 1695, about six weeks after The Reverend Joseph Lord was ordained a Congregational minister, he and seven other men sailed from Boston to establish a church in South Carolina. Almost a century later, during the Revolutionary War, the British set fire to what had become the Dorchester Church which destroyed the interior but left the brick wall standing. In 1794 the church was reorganized and repaired, but by 1817 the last resident minister had departed, the parsonage house and the church land were sold, and the remaining members had transferred to the Presbyterian Church in Summerville. In 1882 the church was abandoned and in decay, and the 1886 Charleston earthquake collapsed the building leaving only one wall standing. Today part of the remaining wall can be seen in the old cemetery just across the highway from the entrance to White Church sub-division. In the Spring of 1967, Charleston Presbytery employed Mr. James M. Earhart, a consultant on New Church Location with the Presbyterian Church in the United States, to study the feasibility of establishing a congregation in this area. 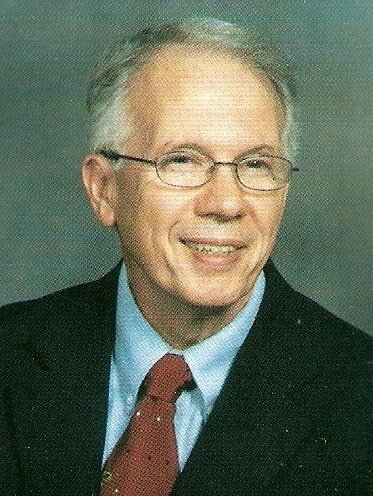 His work concluded that a new church development should take place in the Dorchester Road area near the intersection of Highway 642 (Dorchester Road) and Route 165 (Bacon’s Bridge Road) by the mid 1970's. In 1972, based on the recommendation of Mr. Earhart’s survey, Charleston Presbytery purchased five acres of land just east of the aforementioned intersection at a cost of $20,000. Three members of the Summerville Presbyterian Church were employed to survey the area surrounding the proposed church site; based on 734 home contacts, it was ascertained that there were 78 families who expressed some level of interest in a new Presbyterian church. In January, 1975, Charleston Presbytery appointed a Search Committee to call a minister with the purpose of organizing a Presbyterian church on the Dorchester site. Through the donation of a small building, given by Charleston Presbytery, the Search Committee was able to provide office and meeting room space on the site; and in August, 1975, called The Reverend Richard Allen Cushman to be the organizing pastor. Mr. Cushman began work on September 1, 1975, established an office in the building on the site, and recruited members to serve on a Steering Committee to assist him in the work. 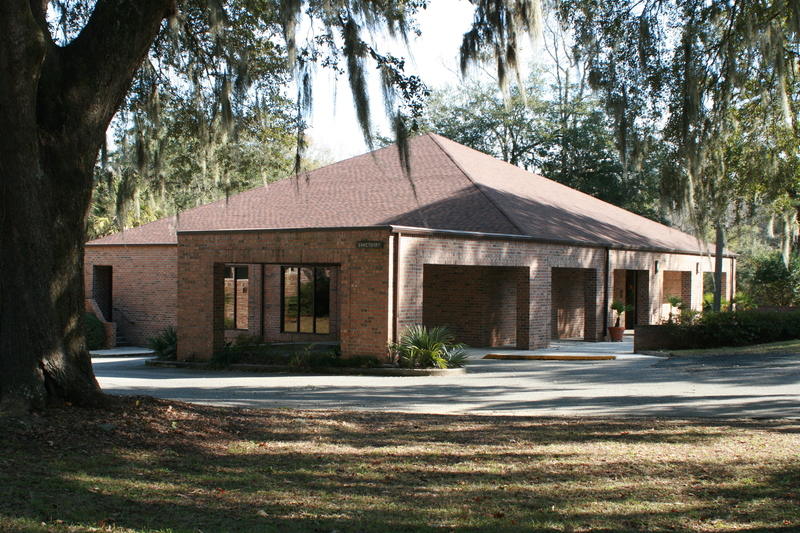 On Sunday, October 26,1975, 128 persons gathered for the first service of worship as Dorchester Presbyterian Chapel at King's Grant Country Club in Summerville. Three and one-half months later, on February 15, 1976, Dorchester Presbyterian Church was officially organized with 99 members. From those beginning days, Dorchester Presbyterian has focused on family involvement in the life and work of the church. Families serve as greeters/ushers, receive the offering, prepare communion, assist in worship with the reading of Holy Scripture, and help in the nursery. Our church facilities, which are in use seven days a week, are situated on an attractive five-acre campus. We also own and maintain an adjoining 48-acre wildlife sanctuary with ¾ miles of walking trails. Dorchester as a congregation is unique in that of our five buildings, the members have constructed four, using the in-house expertise and labor of the congregation. 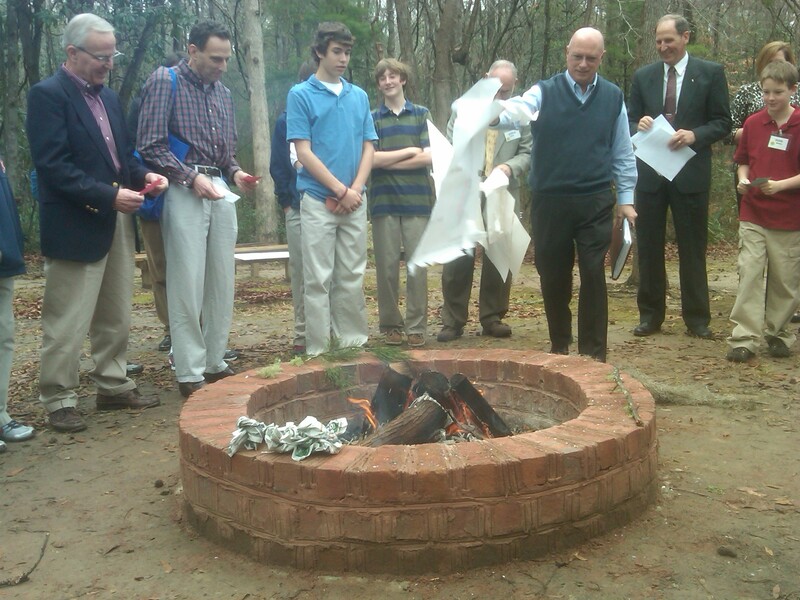 On January 22, 2012 we held our official mortgage burning, celebrating our new life as a debt free congregation! We paid off our church's mortgage after a "So Close You Can Touch It" Campaign. Following worship on the 22nd, we gathered around our newly constructed firepit between the pavilion and outdoor sanctuary for a special service, giving everyone a chance to place a piece of the mortgage as well as posters from past fundraising campaigns in the fire. The firepit was constructed by members using bricks collected during our 2011 Stewardship Campaign "Building for Eternity". We look forward to dreaming big in our debt-free future. How will God call us to serve?